Five years after the launch of the LIFE Puffinus Tavolara project in 2012, after extensive preparatory field work and a lengthy administrative procedure, the Black Rat eradication effort on Tavolara finally took place in October and November 2017. 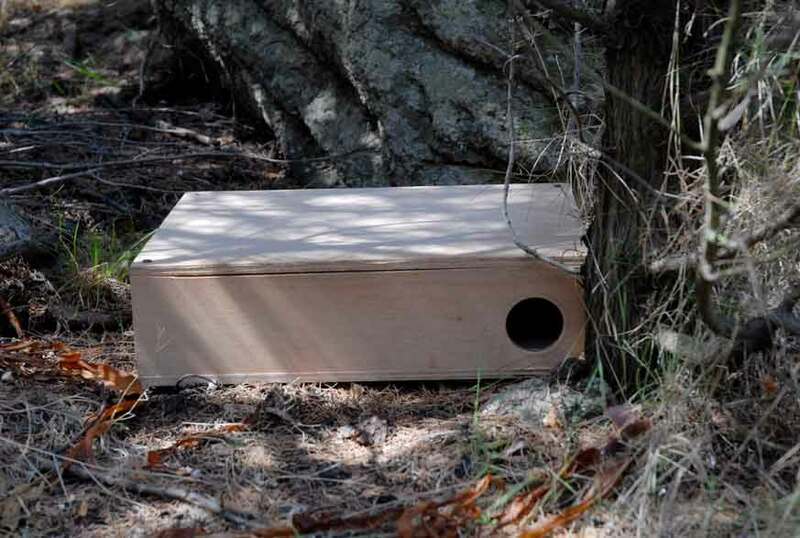 Rat bait was distributed by air on Tavolara on two occasions, in accordance with methodologies developed in New Zealand and now applied in hundreds of islands worldwide. This method makes it possible to eradicate rats from mountainous and inaccessible terrain, such as the central part and the seaside cliffs of Tavolara. In the two low-lying, inhabited sectors, Spalmatore di Terra and the military base at Punta Timone, rat bait was distributed using ordinary closed dispensers as in usually done in urban areas. 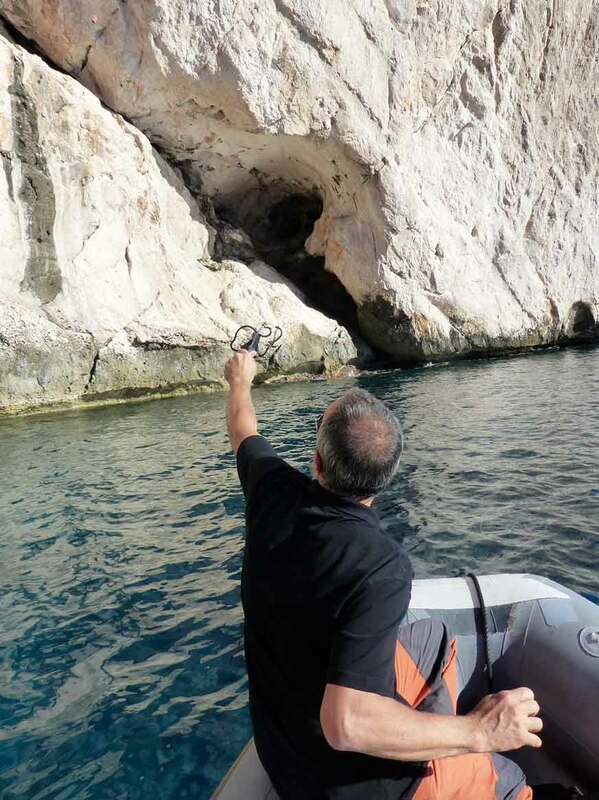 Along the coast, where the distribution of rat bait from helicopters was limited in order to prevent the pellets from rolling into the sea, the bait was placed in likely rat habitat – such as grottos – by hand or by boat via slingshot. 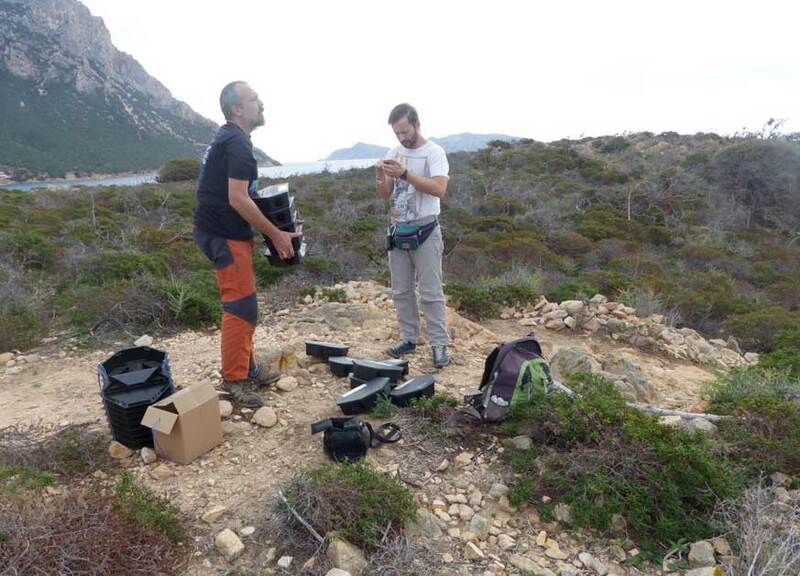 Almost one year after the last bait distribution effort, and after having controlled all stations, we are glad to say that no traces of Black Rat have been found, and although we must wait at least until the end of 2019 (two years after bait distribution) to declare the operation a full success, this bodes well for upcoming activities. In the meantime, a series of monitoring stations makes it possible to regularly verify the absence of rats, and all necessary biosecurity measures have been taken to reduce the risk of rats returning and to defend, with everyone’s help, the results achieved. Rat bait stations have been installed on Tavolara and on the boats that regularly travel to the island in order to intercept any rats that may reach the island by swimming or hitching a ride on a vessel. Additionally, awareness-raising activities have been implemented targeting the managers of tourist ports, the military base, and the handful of businesses operating at Spalmatore. All possible negative effects were evaluated before the eradication effort, and all necessary strategies have been adopted to minimize them. Everything went for the best, and there have not been any problems for native species or for the island environment. In a precautionary manner, fishing has been banned around the island until the end of December, when the University of Siena, responsible for carrying out toxicology exams on the fish species that could potentially have eaten rat poison pellets that may have accidentally rolled into the sea, confirmed the absence of any trace of contamination. 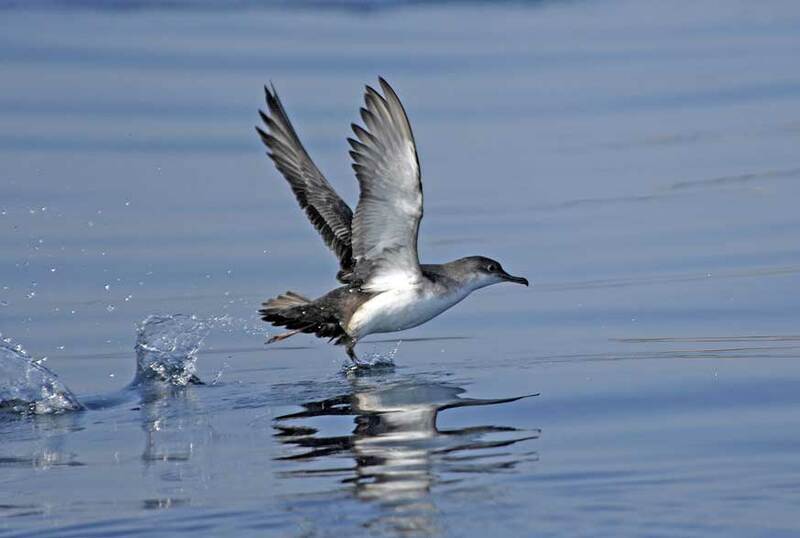 We thus expect a significant positive effect not only on Yelkouan Shearwaters, which are the main goal of the project, but also on the island ecosystem as a whole. The eradication will also benefit geckos, lizards, other bird species, the island’s plant life, and the people who live and work on Tavolara, who will no longer need to constantly apply rat poison to ward off the proliferating rats and mice. The island of Tavolara will also look more natural and pristine to summer visitors, and if the project will prove successful in the long run, it will have saved from extinction one of the Mediterranean’s four species of ‘mini-albatrosses’. 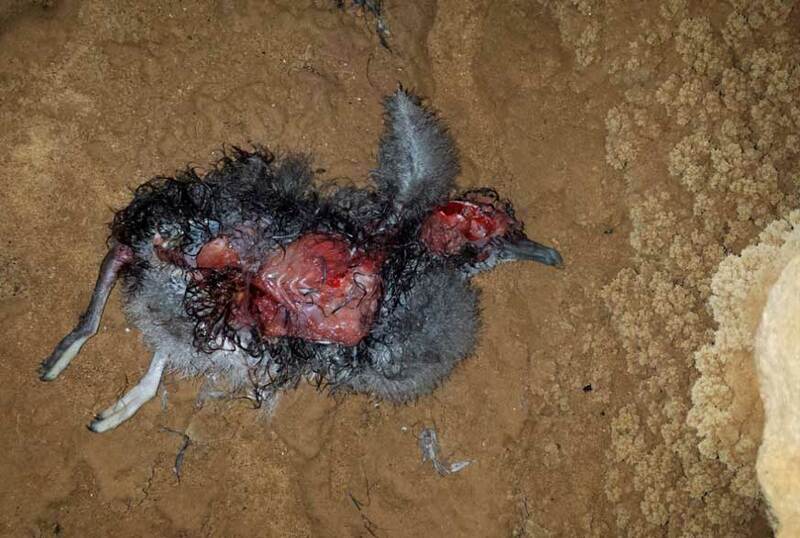 If the success of the eradication effort will be confirmed in the long term, it will bring about a substantial change in the conservation status of the Yelkouan Shearwater. This species, which breeds exclusively on islands in the central and eastern Mediterranean and has an estimated population of 15,300 and 30,500 pairs, is classified as “Vulnerable” by the International Union for the Conservation of Nature (IUCN), since its population has fallen by 50% in the last 40 years. The island of Tavolara hosts the world’s largest breeding colony of Yelkouan Shearwaters, estimated at between 9,600 and 13,000 pairs, amounting to 1/3 to 2/3 of the entire world population. Considering that prior to the eradication effort, rat predation caused most nesting attempts to fail, as they fed on the eggs and chicks of about half of the world’s population of the species, it is very clear that this was the main reason behind the population crash of recent decades. Things are not any better on the other islands where this species breed. Considering the rat eradication efforts that took place in recent years (the main one being on the island of Montecristo, where rats were successfully eradicated in 2012) and the rat control efforts that take place each year in some Maltese colonies, there are currently only 1,000 – 1,500 pairs of Yelkouan Shearwaters that enjoy satisfactory breeding success. In all of the other islands studied so far where rats are present, the number of juveniles that fledge successfully is near zero. The liberation of Tavolara from rats would thus save from rat predation at least another 10,000 pairs, and thus could increase as much as ten-fold the number of young Yelkouan Shearwaters that fledge each year in the Mediterranean, and in all likelihood invert the negative trend for the species. 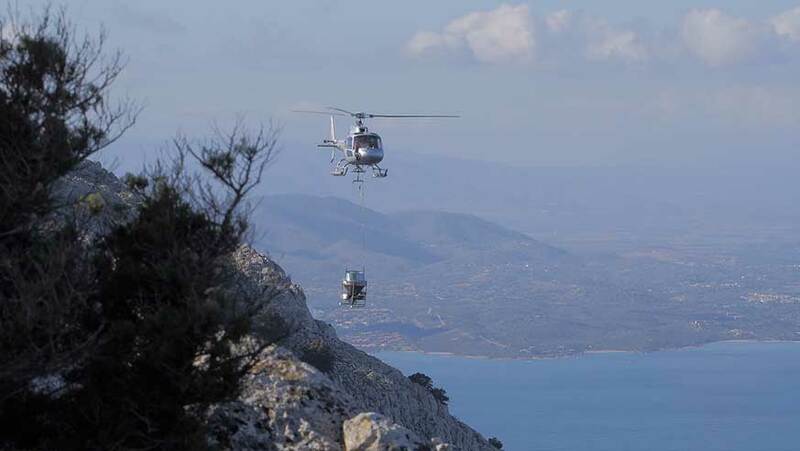 The two eradication actions using aerial distribution of rat bait were carried out with the help of a helicopter and a suspended bucket distributing rat-poison pellets using an automated system and following a pre-set GPS course, on which basis the pilot files the flight plan. The planning of the operation began well ahead of time and was carried out with great care and in close accordance with international best practices. 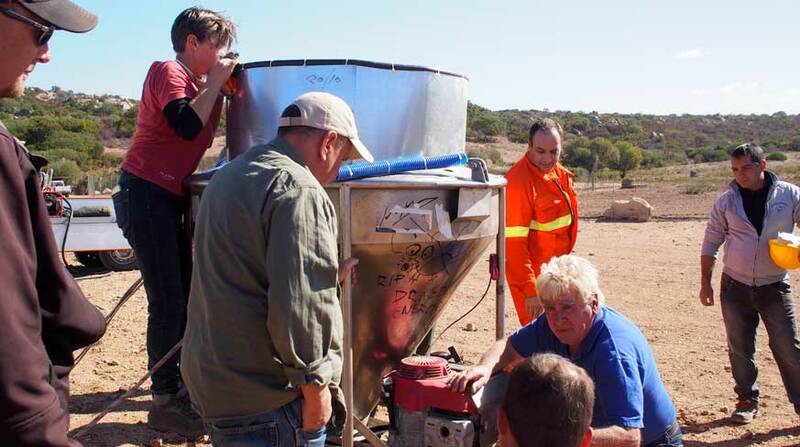 In 2016, two experts from New Zealand who had coordinated some of the most complex rat eradication efforts in the world visited Tavolara and discussed problems and possible solutions with the project’s working group. During the first aerial distribution effort we were assisted by Island Conservation, a U.S.-based NGO involved in a great many conservation efforts on islands worldwide. 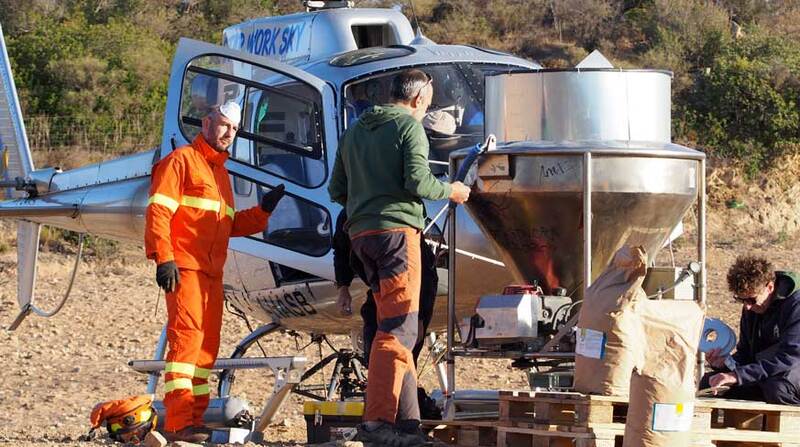 Two of their pilots, with extensive experience in aerial rat eradications, participated in preparatory activities and the first aerial distribution on Tavolara, providing operational support to the Italian helicopter pilot. 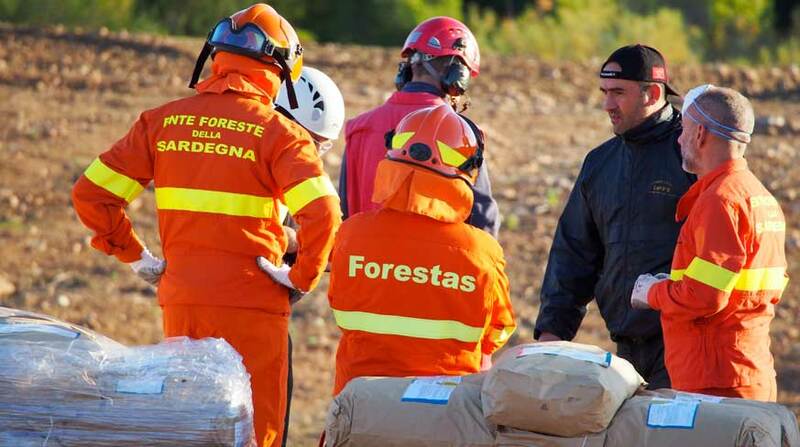 Both distributions took place under good weather conditions and were entirely successful, thanks also to the professionalism of the pilot and of the working group as a whole, with the assistance of several operators from the Fo.Re. S.T.A.S agency. Rat eradication actions such as the one carried out on Tavolara are increasingly frequent, and have been implemented successfully on hundreds of islands worldwide. Whenever alien invasive species represent a serious threat against species of conservation interest, these interventions guarantee enormous and otherwise unachievable benefits and only limited negative effects, which become altogether negligible in well-planned operations such as the one that took place on Tavolara. A cost-benefit analysis of eradication efforts leaves no doubt: some researchers recently examined data on the over 700 islands where one or more introduced mammal species (rats in over half of the cases) have been eradicated. There were only 8 cases worldwide of negative mid- to long-term effects on native species; in half of these the negative effects are expected to be fully reversible in a relatively short period of time, and in the remaining 4 cases the negative effects seem negligible in the face of the benefits obtained. On the other hand, 786 populations of 321 species, over a third of which threatened with extinction, benefited from eradication efforts, with innumerable cases of huge population increases, re-colonisations of islands where the species in question had been extirpated from decades, and even the re-appearance of species that were thought to be extinct but that evidently had survived at very low densities. So far, four species (3 seabirds and, unexpectedly, a species of fox endemic to a single island) have been re-assigned to a lower threat category after the eradication of the species that threatened them (rats), and it is not unlikely that the Yelkouan Shearwater will join them in a few years. The numbers speak for themselves and they are the reason why these operations are increasingly frequent and involve increasingly larger islands, up to the enormous South Georgia, a Sub-Antarctic island belonging to the United Kingdom, where an area a hundred times that of Tavolara was subjected to rat eradication.